According to the Equal Employment Opportunity Commission‘s news release, the company violated the Americans With Disability Act (ADA) by terminating workers who had been on lengthy medical leave. Those who were fired had absences that exceeded the company’s internal 180- or 240-day maximum allowable leave policy. Under the terms of the settlement, the second-largest home improvement chain did not have to concede to any wrongdoing. However, it is now required to hire a number of consultants who will be in charge of overseeing the company’s absence policies. The consultants will also keep track of employee requests for accommodations for more medical leave, and the company’s responses to those requests. These consultants will be on board for a minimum of four years. A spokeswoman for the company released a statement asserting the company updated its medical leave and other absence policies in 2010 and has made changes in the years since to ensure it is applied consistently. The underlying case at issue, U.S. Equal Employment Opportunity Commission v Lowe’s Cos et al, involved three workers who were reportedly fired between 2007 and 2010 after they were denied extended medical leave. The EEOC alleged this was done unreasonably and thus illegally, in violation of the ADA. The settlement allows for compensation not just of those three workers, but also of any worker fired from Lowe’s between Jan. 1, 2014 and May 13, 2010 for exceeding the company’s then-maximum allowable medical leave time. An EEOC attorney said the settlement sends a message to companies that they may be in violation of federal law if they have strict medical leave policies that automatically result in termination for workers who exceed an arbitrary time limit. Both the ADA and the Family & Medical Leave Act (FMLA) extend certain rights to workers who are permanently or temporarily disabled or have a serious health condition. Most states too have their own laws that prohibit disability discrimination. In California, that statute is the Fair Employment and Housing Act (FEHA). Under California law, employers are required to explore with the employee all possible means of reasonable accommodation with the worker prior to rejecting a person for a job or making any employment-related decision. Employers are only required to offer disability leave in certain situations. Employers can establish attendance and leave policies so long as they apply uniformly to all employees, regardless of whether they have a disability. 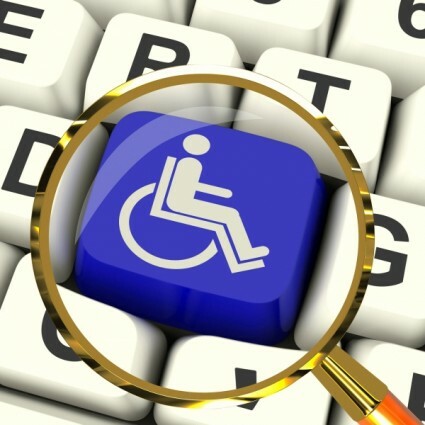 Generally leave policies that are uniformly applied to all workers are compliant with ADA. However – and this is where Lowe’s ran afoul of the law – workers with disabilities who request modification of a leave policy as a reasonable accommodation may be entitled to that accommodation, unless for some reason it would impose an undue hardship on the employer. Also, it’s worth noting that only employees who continue to be qualified for the job – that is, can perform the essential functions of the job with or without reasonable accommodation – are protected under ADA.